Talk about a hard book. This was it. I am actually writing this a bit later than I wanted to and should have because this was a hard book. Not hard word wise but hard emotionally. Just Show Up is blunt and beautiful. Written by two friends going through the hardest things – cancer knowing it is only going to be alright after death. 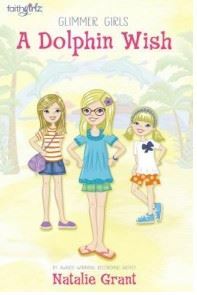 Simply put this book is about friendship. But it is oh so much more! More specifically, this book is about being there and doing the things that need to be done in friendship when it is something you never can imagine having to do. Really, the title says it all “Just Show Up.” Sometimes, that is all that can be done but that is all that needs to be done. Kara was ill and Jill just barely knew her. But, Jill knew something much more important – friendship doesn’t stop just because something hard comes into life and Kara needed friends. Even with a large community of friends. So, Jill showed up. And it became a beautiful friendship. From there, it became an encouraging book for us on the outside. Just Show Up is practical. Just Show Up is truthful. 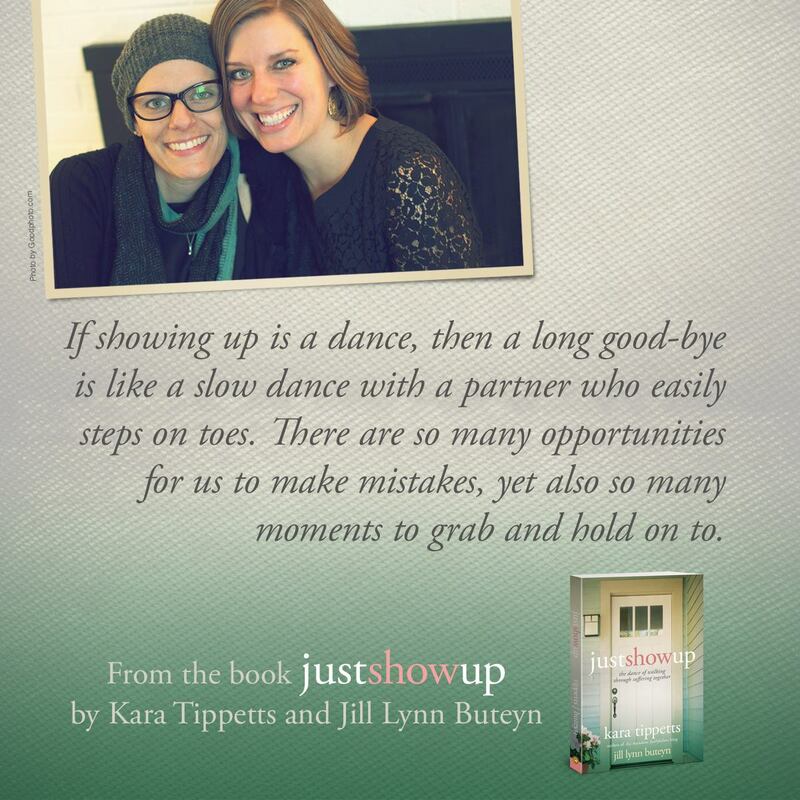 Just Show Up is challenging. Just Show Up is what each of us needs. It isn’t about hospitality. It isn’t about comfort. It isn’t about feeling good. It is what is needed. There are so many gifts that are needed during a time of hard. Jill and Kara bluntly discuss those and how to maneuver through them. Gifts such as silence, receiving, giving, friendship, and community. Gifts such as talking about the hard things like the future. Gifts such as doing the things that need to be done like cleaning the toilets or changing the diapers. Gifts are every where, in every day, in every thing. God is not absent in this book. God is found throughout the book – in the suffering, in the action, in the love, in the sharing. In the fact that this book was written and published. 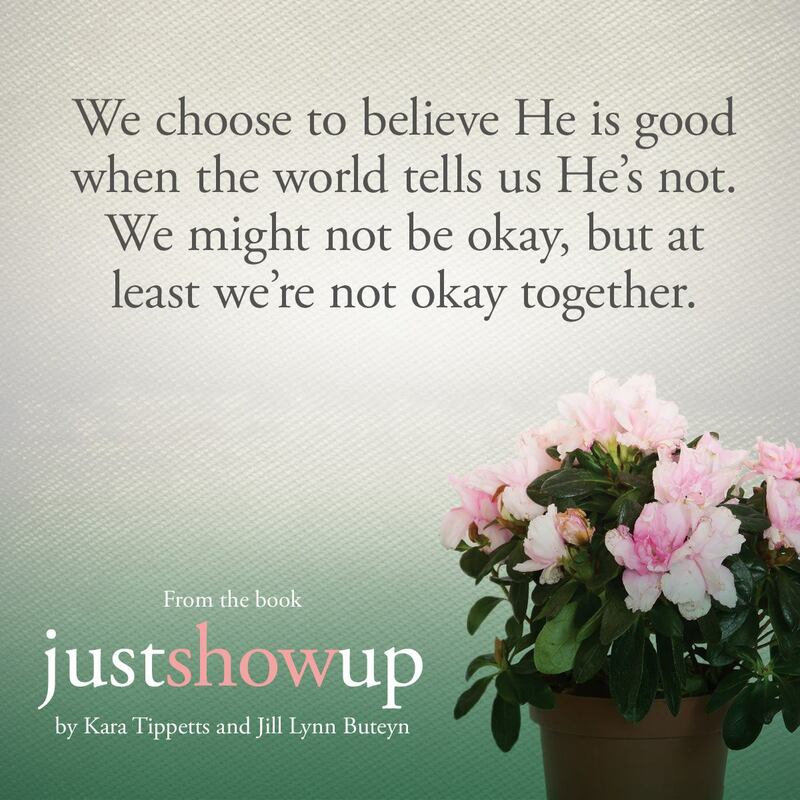 God is always there and Kara and Jilll share that throughout this book. 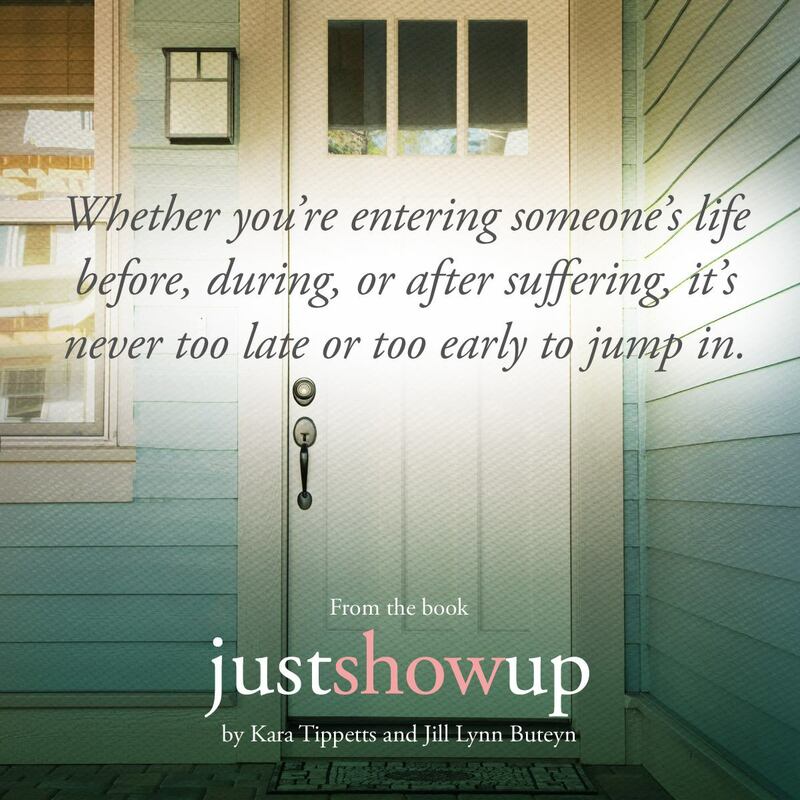 When something hard is going on in someone’s life, sometimes the best thing you can do is Just Show Up. This book is a challenge to me. It spells out some of the answers to things I have said or asked and shown me the error of my ways when I thought I was trying to help someone. (I wasn’t doing a very good job.) Just Show Up spells out some of the do’s and don’t’s in hard times. It is practical. It is honest. It is beautiful. 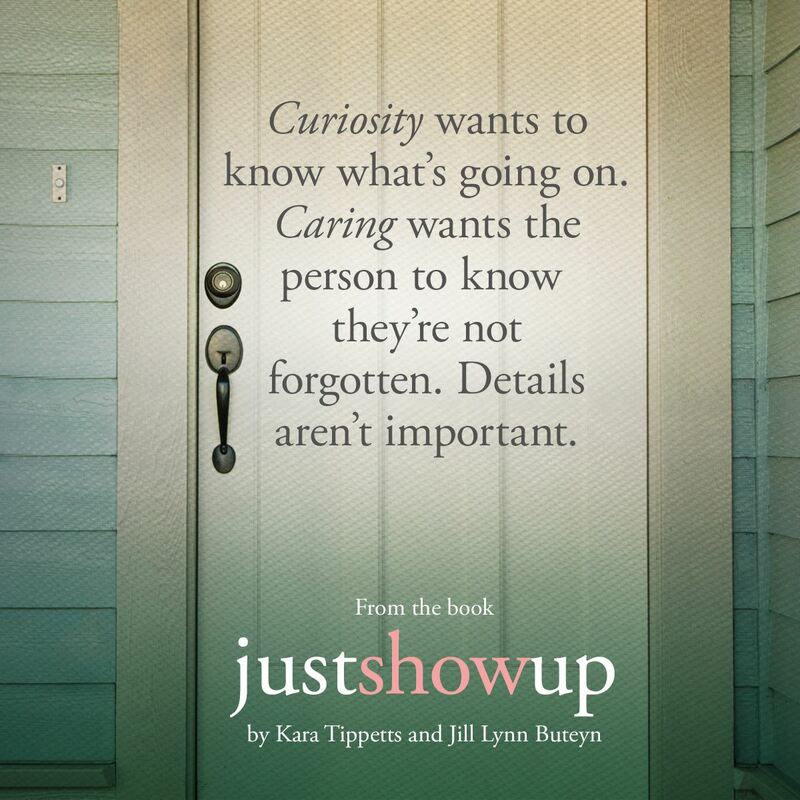 Just Show Up is a wonderfully fantastic read. It will be one my shelf to be revisited and reread as I grow and change and find new abilities that God has given me. 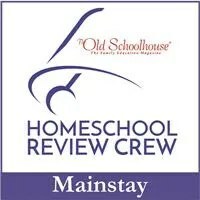 Find Family Christian on social media site: Twitter, Pinterest, Tumblr, Instagram, and Facebook. So as the holidays approach, money always becomes tighter, doesn’t it? We try to stretch that dollar farther and farther. With that in mind, I was visiting Family Christian the other day and looking for items with a $5 price limit. I found some interesting things that I want to share and then I will have a giveaway for a $5 gift certificate for three (3) of you! I know it doesn’t do your shopping but it might help Santa out a bit. I found a number of book possibilities at Family Christian for under $5. One of my favorites was The Berenstain Bears The Very First Christmas. I added this to our Christmas book tradition this year. There were also these little activity books that are pencil rubbing books. The giggly girls love these! I got each of them two. However, I can’t find them on the Family Christian website. Every time I go in, there seems to be a VeggieTales video or an Iesodo video on the $5 table. These are the ones on sale on the site at this time: VeggieTales: Noah’s Ark, Buck Denver Asks…Why Do We Call It Christmas?, Veggie Tales:It’s A Wonderful Life/Christmas Sing Along Songs, Iesodo: Faith, Iesodo: Love. There are also a choice or two of more grown-up movies on the table, including Courageous and Fireproof. What about some notepads? There are a selection of three notepad sets. There is Good News of Great Joy, Celebrate The Savior, and Celebrate Christmas. Do you make goodies in the kitchen to give? Here are some cute containers you could package them in. There is a bowl , a tub, and a tray. There are pencils, erasers, little toys, and more that can be found in the children’s section of our local Family Christian. These are always fun little additions to a gift if you need something more. Or if you are looking for several items to get with the $5 appreciation certificate you are going to win, these will fit the bill. They are not something typically shown on the website, though. I will be purchasing some stickers soon and they all fall under less than $5 in cost. The ones I am going to get are the names of God because that is an upcoming monthly theme for Write the Word. These stickers will be a fun addition. There are a number you can choose from for whatever might fit your needs. I know that our girls have all enjoyed stickers, even now as they grow older. So, here is the page for the stickers sold on the website. If your child is a reader, a bookmark might be a good choice. And Family Christian has a large selection. These could also be given as gifts to other children you know since they come in packs of varying numbers. Looking for a highlighter that won’t bleed through? These Accu-gel Bible highlighters look pretty good. I haven’t used them but am always on the lookout for something like this. A few ideas, right? There are many more available on the website and in store. If you are an email subscriber or part of the 1:27 program, you also probably have a coupon that will help you find some great stocking stuffer ideas. Three winners will be selected to each receive a $5 appreciation certificate to Family Christian Stores. This is open to US/CAN residents only. Okay. So I’m opening the book now. 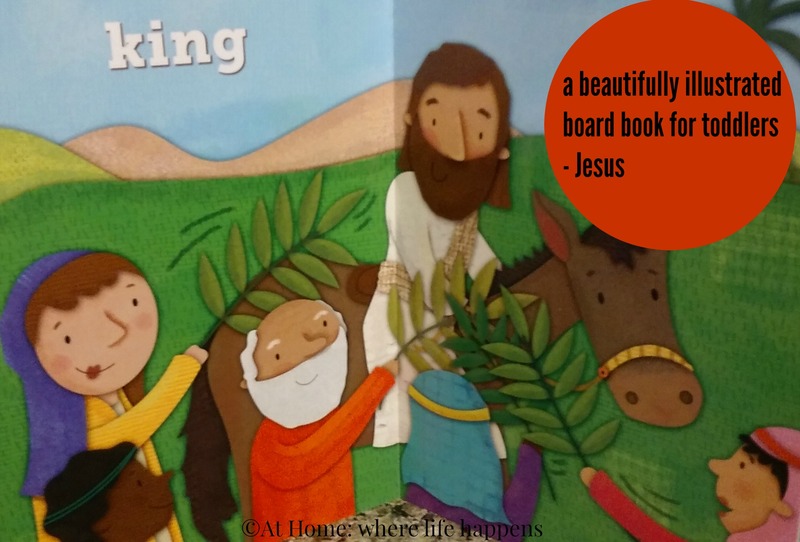 Jesus is a beautiful board book that is designed for little hands. 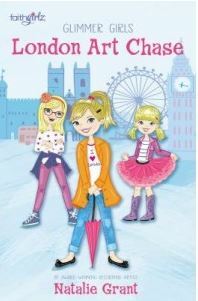 At about 6 inches by 5 inches, it is a good size for little hands and with the thick pages, it is sturdy. There are beautiful pictures that will appeal to children. 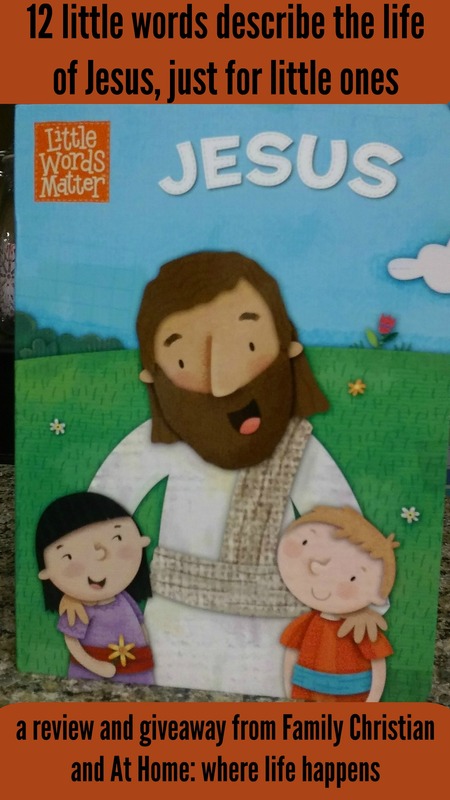 I can see little ones loving this book about their Jesus! The 12 words chosen for this book take the child through the life of Jesus, from birth to resurrection. 12 choice words encourage the children to see Jesus as one who is important to them and touches on his important qualities. If your children are anything like mine were as toddlers, this will quickly become a favorite. The bright illustrations will help you introduce and teach your children about the one who is most important: Jesus. Because the words are simple, it is easy to expand upon the picture and tell a story from the Bible that relates to that picture. This is a great way to bring more Bible to your child. Family Christian is offering one reader a copy of this book. This will be a pretty fast giveaway. I’ll leave this open for 6 days. It will end on November 16, 2015. Click the link below to be taken to the Rafflecopter entry form. Twitter, Pinterest, Tumblr, Instagram, and Facebook. As you read this, Patriot Day will be less than a day away. I kind of waited to post this because, if you are anything like I am, it has snuck up on you. It always sneaks up on me, even when I want to be prepared! 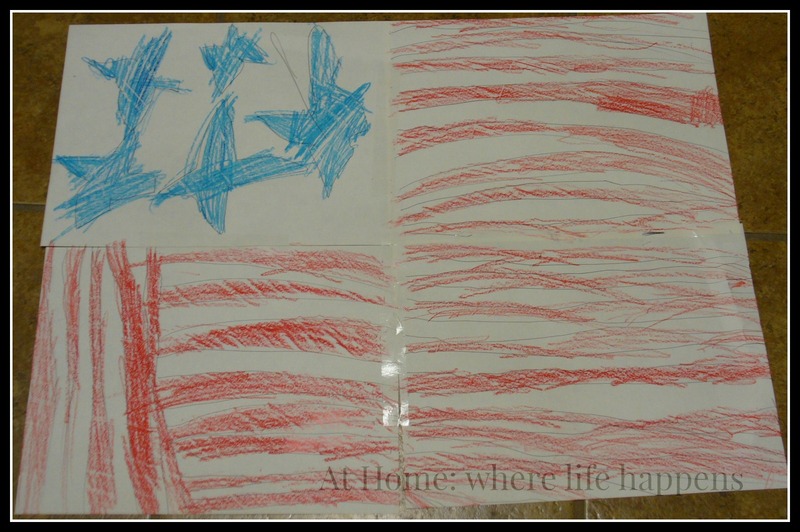 I have a plan for Patriot Day this year and I am sharing my plan with you. Feel free to use it or adapt it. I am sharing it in case someone needs a plan so that you can honor the memory of those who died but also honor the lives that are put on the line every single day to protect and help anyone who needs it. We will also review what Jesus is telling his listeners in verses 34-40: look for ways to help others because sometimes the need is right in front of you and you just don’t see it. Click here to get a PDF of these pages. We will view the same video that we took a look at last year. It can be found here. We will discuss the historical view of 9/11 and the people behind the murders. We will talk about the people that lost their lives that day and those family and friends who lost a loved one. We talk about these people; they get left out of the discussion about that day but they are still having to live every day with that loss. We will look at the timeline found here. I’ll also pull out a scrapbook that I made from a visit to Ground Zero that I was able to make with my mom and sister in 1993. All of this is important for the girls to know and remember. They need to know who to pray for and what to pray. J prays every night for the “bad people to turn and be good.” The terrorists are some of who she is praying for. The girls recently had the opportunity to help a sister in Christ celebrate the fact that she received her American citizenship. Mrs. Lou worked hard to be called an American. Her story is amazing. The girls were priviledged to hear Mrs. Lou talk about the hard work it took to get to America, the overcoming that was required, and how proud she was to be able to now call herself an American. But with this priviledge, Mrs. Lou recognizes that she has responsibility: to help others in her country of birth. To hear Mrs. Lou talk about the work she and her husband do and the ways they hope to expand that, well, we want to help. It would be a wonderful way to help remember those who lost their lives as Americans and those who put their lives on the line every day in America. 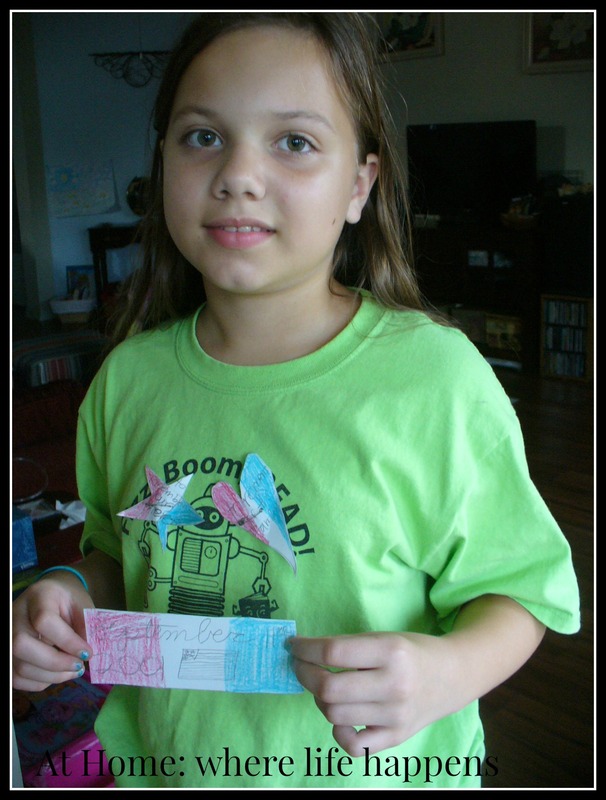 I always ask the girls to create something to help them remember important events or history discussions. Last year, the girls created some beautiful reminders. I am sure they will do the same this year. 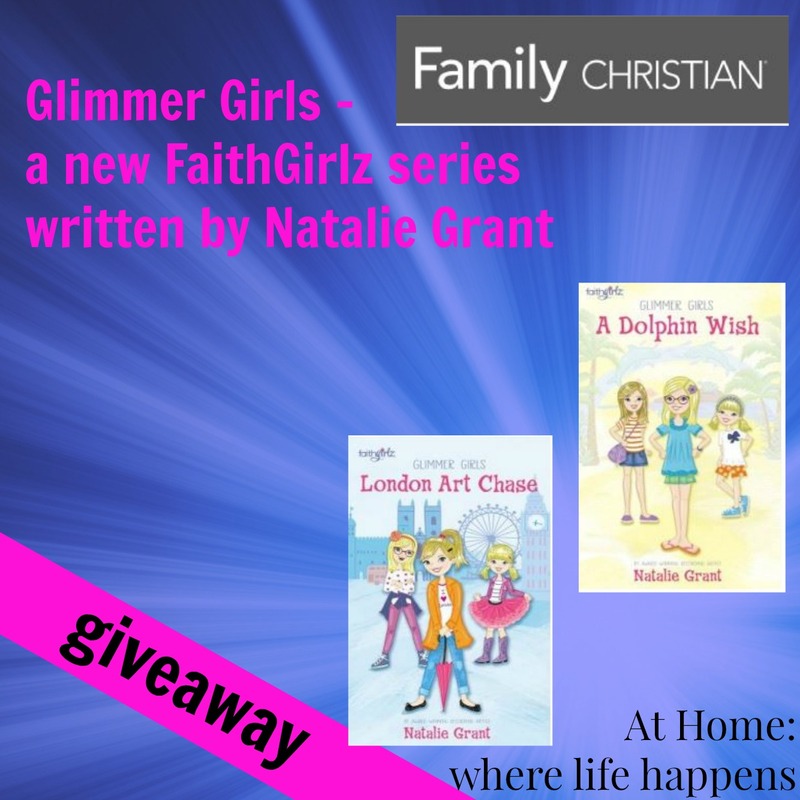 I will use Family Christian’s boards on Pinterest to help give the girls some inspiration. This year, we will have a twist to our reminders, though. 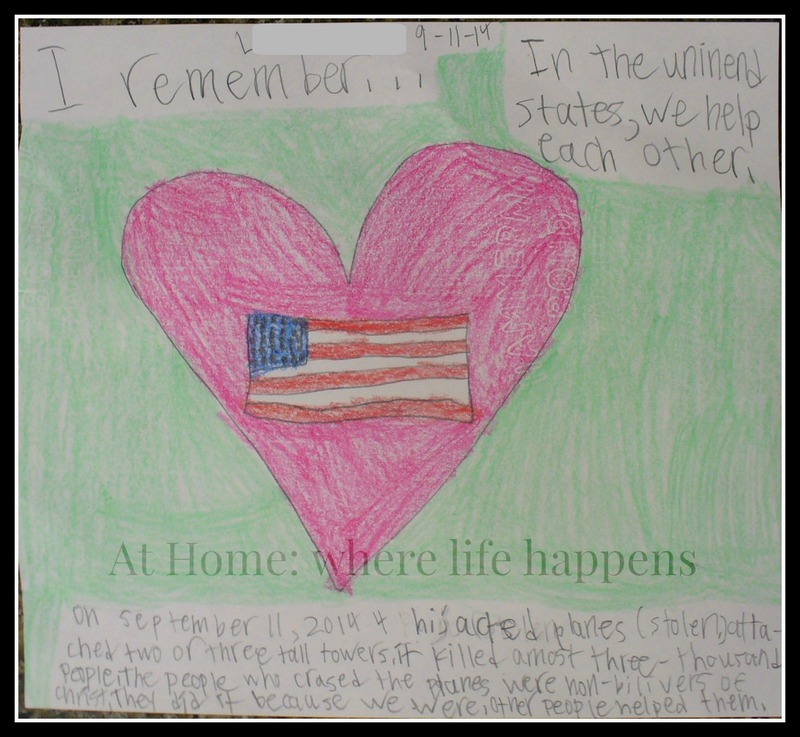 I am going to ask the girls to create remembrances to give to the first responders in our community – our firefighters, police, sheriff, and EMTs. These folks lost brothers and sisters in the terrorist attacks that day and they still put their lives on the line every single day. They don’t stop to ask who the person needing assistance is. They don’t make decisions based on anything other than the fact that the person is in need. And that ties right back in with Matthew 25:34-40 – When we do something for those who need it, we are doing it for Jesus. Some suggestions: cards, store-bought and individually wrapped items, and bottled water or Gatorade. I am almost certain that one of the giggly girls will ask to make treats for the firefighters, law enforcement, and/or EMTs. Unless you know for sure, considering the climate in our country, it is probably best to not take homemade treats without checking with your local departments and firestations. 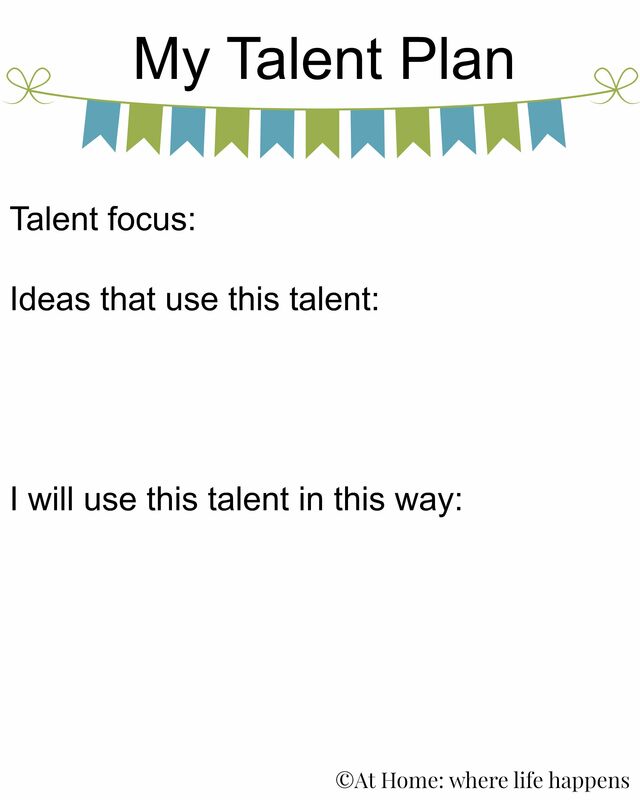 But, maybe we can use this idea from Long Wait for Isabella, another Family Christian blogger. 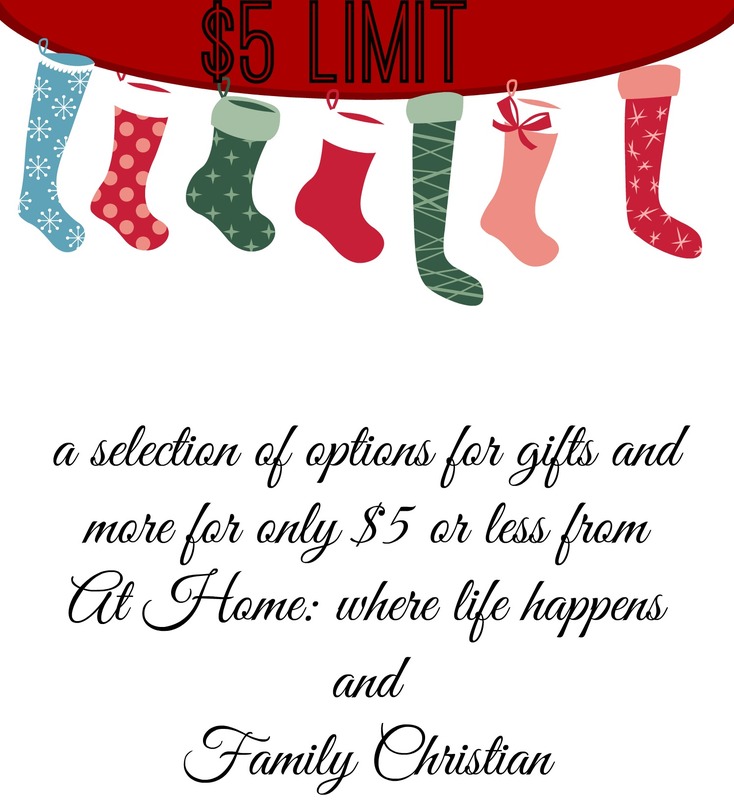 If you have a special person you would like to honor, Family Christian has some great gift ideas. Check out their store local to you or shop online. Whatever you choose to do, don’t skip Patriot Day. The future of our country is being challenged daily. Teach your children and press forward in memory. review and the opinions expressed here are my own. This disclosure is in accordance with FTC regulations. What if the worst happened? How would you handle it? What would you do? Where would you turn? I’ll venture to say we don’t know until we are in the situation. I’ll also venture to say that the better we know our God, the better prepared we are to be able to stand under the pressure of whatever the burden may be and to light the way to God for those we encounter during the struggle. 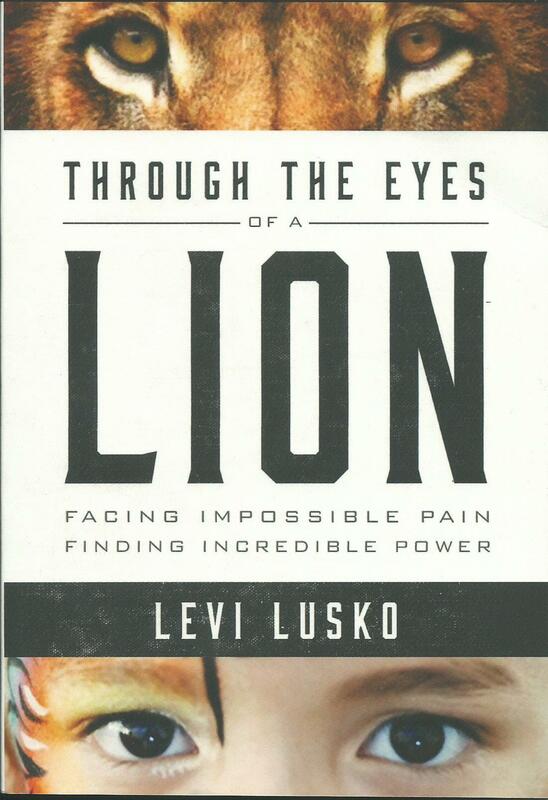 That is the point of Through The Eyes Of A Lion: Facing Impossible Pain, Finding Incredible Power by Levi Lusko. This is a pep talk from one who has been through the worst and uses it to shine a light on God’s majesty and power. I cannot recommend this book highly enough. I would love to highlight just a couple of places from the book for you. But, I can’t. Because there weren’t just a couple of places that made me go “Oh, yea! I get that!” or “Wow! What a great way to word that.” Nope. They were all over the place. Everywhere. Once I started the book, it was difficult to put down. The encouragement and challenge is amazing and wonderful and frightening. A couple of phrases that come up over and over highlight the energy with which we should view out lives. As long as you have breath in your lungs, you have a microphone in your hands. There is a wild and wonderful calling on your life. Filled with quotes from God’s word, this encouragement doesn’t stop until you hit the last page. Even when I was reading with tears streaming down my face (yes, there are some terribly sad, sad parts that bring great hope so have a tissue close by when reading), I was able to feel the hope and encouragement that Mr. Lusko wants us to see and feel from God. Or you can pick up a copy at your local Family Christian Store or in their online store. This inspirational book is not one you want to miss out on. 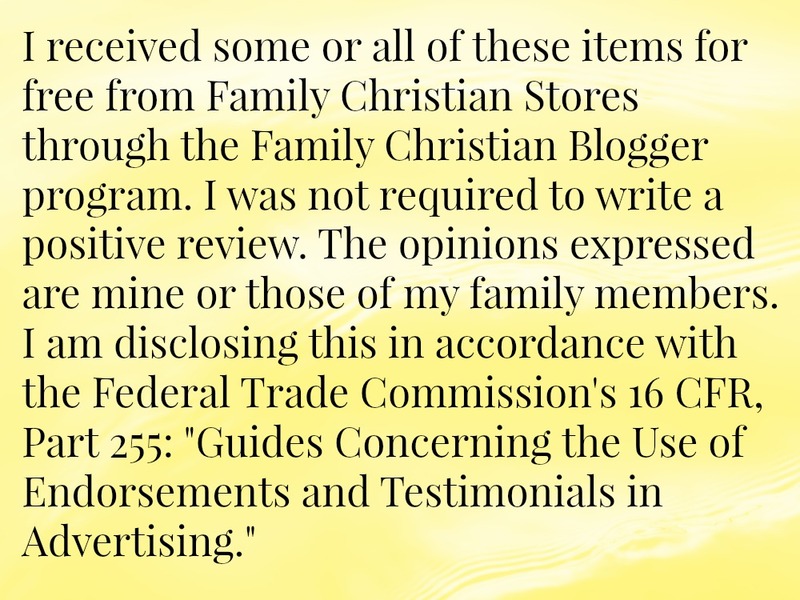 Please visit Family Christian, the sponsor of this post, at any of their social media sites. A couple of month ago, I was browsing through the Family Christian website. I was specifically looking for a cappella music. I prefer a cappella music for guiding my thoughts and, also, if it is a good group – they have amazing vocal abilities. I attend a church that uses only a cappella music for worship because we follow a first century church model. That simply means we follow the examples set forth in the New Testament, in the Bible. So, I stumbled across a number of CDs that, while they came up under an a cappella search term, were obviously not actually a cappella. They had a single piece on the album, perhaps, that was without instruments. Or, most commonly, they had a few measures of introduction that was a cappella and it was in the description so it came up under the search term. I didn’t find the group that I expected to but I did come across these three CDs that I’m going to share with you. The Gaither Vocal Band is renown for their wonderful harmonies. Their album a cappella is full of a mixture of fun, pleasant songs. There are some good, old southern spirituals. There are some traditional hymns. There are some patriotic tunes. It is a nice combination. Most of the songs I knew before but there were a couple I didn’t know and really enjoyed. One of these new ones is called “Low Down The Chariot.” It is a pleasant song, reminding me of southern spirituals. This is a disc that I have really enjoyed having. I really enjoy listening to music that has rich, full harmonies that are well-blended. 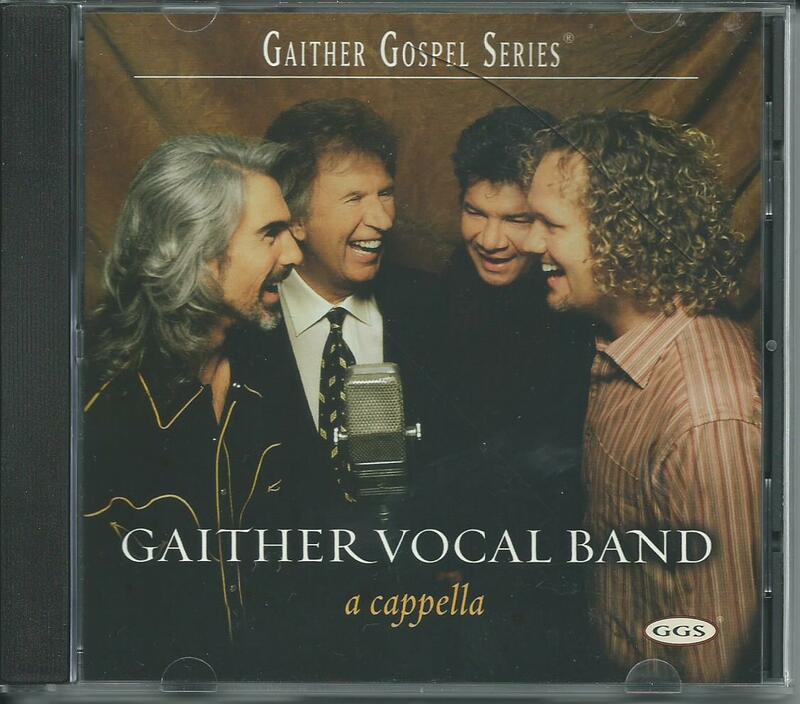 The Gaither Vocal Band has done a lovely job with this disc. The harmonies are so well-done that I find myself just enjoying the enveloping sound and listening intently to the words. For me, this indicates a very well-done disc that will add much joy to my listening times. The Martins are a trio of siblings that sing together. They have a very sweet dedication and story in the liner notes for their disc about how they came about singing a cappella. It made me smile – a mom can make a lot of difference in the direction a child’s life ends up going and this is a good example of that. This disc is a collection of hymns, spirituals, and other inspirational pieces. It is an interesting blend of styles and that combination keeps it moving and interesting. 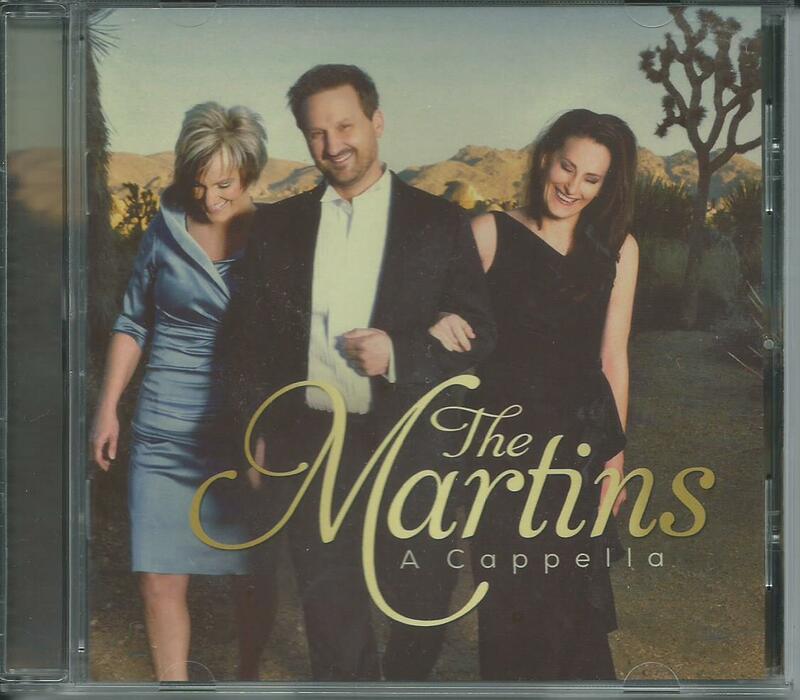 The Martins A Cappella is a lovely album full of heartfelt singing that draws you in. The harmonies that the Martins achieve are unusual but in a very good way. Their harmonies are strong and beautiful. You do not get the straight chords that you expect in a trio. You get a variety of chords and combinations. It is charming, haunting, pleasing, and I can’t seem to stop listening. I have really enjoyed this disc, the songs I didn’t know before, and the beautiful melodies and harmonies the Martins create. This disc was highly disappointing to me. I expected to be getting a Christian CD. Most of this disc is love songs. Not at all what I was looking for and led to think it was. I honestly listened to this disc once so that I truly knew what was on it but I did not really enjoy it. 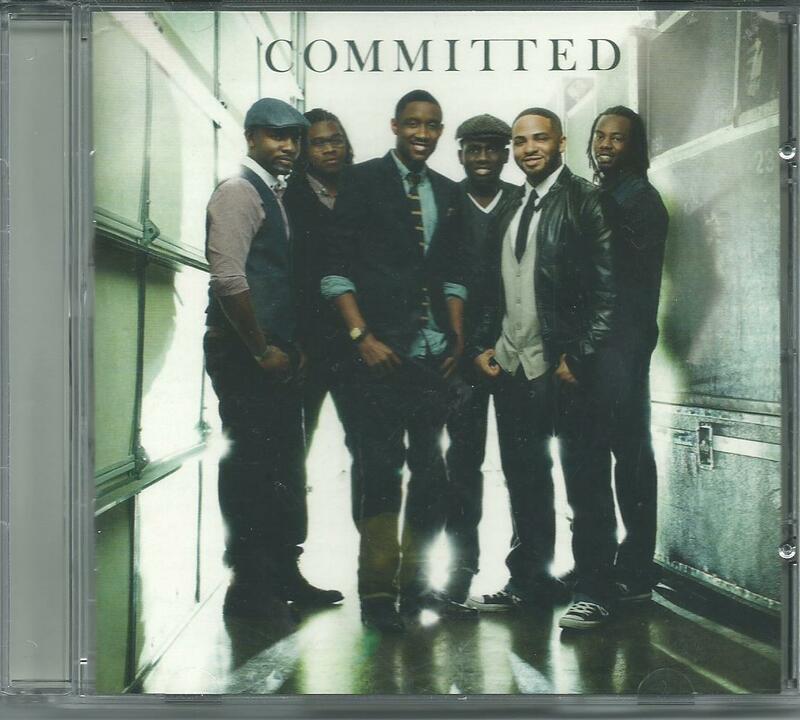 I think Committed has good harmonies. I believe they are a very talented group because you hear tidbits of it in some of the songs. However, it is hidden with all of the a cappella creation of instruments. The use of voices to create drums and cymbals is not appealing to me. It feels like the songs have had a heavy hand at electronic mixing and editing, as well. It covers the beautiful songs and hides their voices. Between the editing/electronic mixing and this being mostly love songs, this was a totally bust for me and I am highly disappointed in this disc. Overall, it was fun for me to get to pick through CDs looking for some really good, inspirational a cappella music from Family Christian. They have a lot of music to offer. A lot of it is instrumental in nature. Also, a lot of it seems to not be available in store but I found my local store to be extremely helpful with ordering the discs for me and letting me know when they arrived. 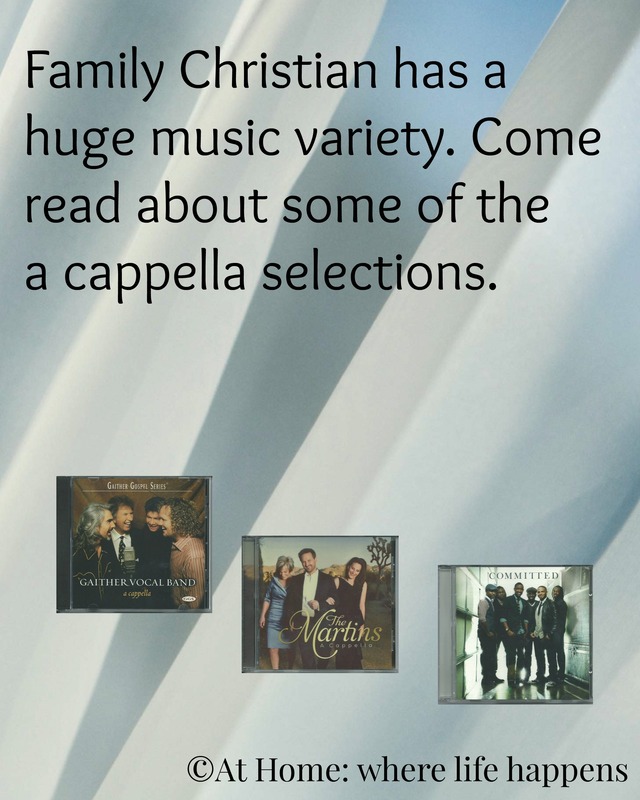 If you are looking for a new CD or two, I would suggest taking a look at Gaither Vocal Band and The Martins. I truly have enjoyed both of these offerings from Family Christian.